ANNOUNCEMENT – YSS on BBC1! 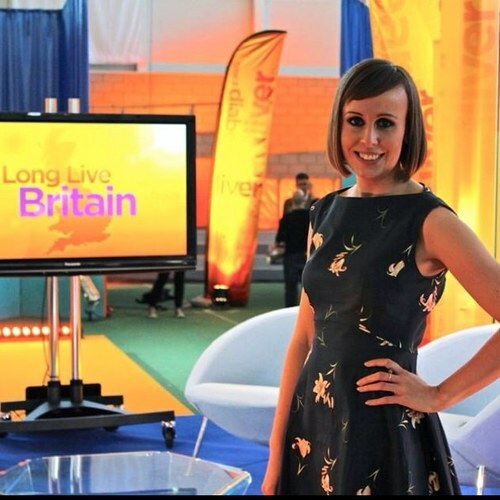 YSS Committee member Jen Rogers will be playing a starring role in the BBC1 programme “Long Live Britain” tonight (Monday 22 July 2013, 9pm). Don’t miss it! Young Statisticians Meeting 2013 at Imperial College London: to the stars and beyond! In the heart of London at Imperial College London, the Young Statisticians´ Meeting YSM2013 was opened on the 4th of July with a plenary session focusing on a very British topic: rain, on an otherwise very sunny day. The talk, “Stochastic Models for Hydrology” by Prof Valerie Isham, was an overview of the contributions of stochastic modelling to the study of issues such as rainfall, floods, and climate change, and showed practical applications and simulations that proved of great interest to the meeting participants. Fig.1. Group picture from YSM2013. With more than a hundred attendees coming from very different areas (see further details in Fig. 2 below) and a marked biostatistical focus (47.5 % of the talks and posters covering health related topics), the event was a success in both participation and quality of the work presented. A summary of some of the meeting sessions according to three major categories follows. Erika Cule, author of the R package ridge, presented impressive research on “Ridge regression for risk prediction with applications to genetic data”, analysing the applicability of this technique for the study of single nucleotide polymorphisms. Several interesting case studies of the application of Bayesian techniques to the incidence of cancer and other diseases were shown by other presenters. It is also worth mentioning Monica Pirani’s presentation proposing a “Bayesian clustering framework for characterizing multipollutant mixtures in time-series studies”, for its potential impact in environmental and health studies. Finally, a strong case for the need for transparency in model selection processes was made by Rebecca Newell in her talk “Bayesian Model Selection: A Researcher’s Dilemma”, based on her research on internal migration estimates in England for the Office for National Statistics. The talk “Modelling benefits and harms of mammographic screening for breast cancer in the UK” by Necdet B. Gunsoy, showed results from a stochastic simulation study on historical data for cancer incidence, screening and survival. Jaione Etxeberria also addressed cancer risk in her poster “ANOVA-type P-spline models for predicting cancer mortality counts”, including a case study of prostate cancer mortality rates in Spain´s regions. Both pieces of research appear as very interesting in terms of likely beneficial impact on the development of cancer prevention programmes and resource allocation. James Martin, in his poster “Intra-cluster Correlation Coefficients (ICCs) for clustered trials in Diabetes”, called for consistency in the reporting exercise of ICCs and sample sizes in type II diabetes clinical trials, and showed relevant results from a study on data from the Health Improvement Network database. A final mention goes to the talk by Olympia Papachristofi: “Adoption of the complex interventions framework in the evaluation of surgical interventions: links, emergent issues and proposed solutions”. 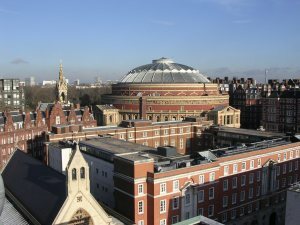 At a time when heated controversy has arisen regarding the publication of performance data for NHS surgeons in England, Olympia´s research appears as particularly relevant and of great potential. Georg Hahn, contributor to the R package simctest by Axel Gandy (one of the plenary speakers at the meeting, as you will read later), introduced in his presentation “Implementing false discovery rate procedures for simulation-based tests with bounded risk” a novel, sophisticated approach to multiple testing problems known as MMCTest that is also implemented in the R class mmctest within the aforementioned package. Other exciting topics such as “Static complex network modelling and estimation” (by Zhana Kuncheva) and “Dynamic graph estimation” (by Ricardo Pio), were covered in the meeting’s sessions. Finally, particularly interesting pieces of applied research were shown in the presentation “Catching cyber-attacks with a LASSO”, and the poster “Detecting behavioural change in internet traffic”, both by Alex Gibberd. In the current climate when internet security and end-user behaviour are a big concern, potential applications of these studies could prove very appealing to governmental institutions and companies worldwide. Out of the 59 talks and 21 posters, the presentations “X-11 vs SEATS: A comparative study of revisions on short time series” by Folasade Ariyibi ‎, “Rolling Markov Chain Monte Carlo” by Din-Houn Lau, and “Modelling benefits and harms of mammographic screening for breast cancer in the UK” by Necdet B. Gunsoy ‎ (see above), and the poster by Sophie Larcombe about “Understanding alternative options for Welsh language data” were given a prize sponsored by the Royal Statistical Society (RSS), consisting of free registration and a slot in this year’s RSS conference to be held in Newcastle from 2-5 September. Additionally, three plenary sessions provided the audience with further insight on techniques and new fields of application. Prof David van Dyk’s fascinating talk, “Embedding Astronomical Computer Models into Complex Statistical Models”, was an example of this. Focusing on a not-so-common area for statisticians to work on, but which, according to the speaker, has become less unusual in the last 15 years, Van Dyk’s talk covered a quick review of stellar formation and evolution in the case of White Dwarf stars and showed some of the challenges in their study and main aspects of the Markov Chain Monte Carlo models implemented to address them. State-of-the-art technology allows for researchers in this and other quantitative fields to produce large amounts of data that can become inherently tricky to process. Prof Paul Fearnhead dealt with the common challenges faced by statisticians when “Detecting Changepoints in Big Data”. Mention was made of cases in which the number of change points increases as more data can be collected (e.g. genetics), to the common techniques used for detecting these points (i.e., penalised likelihood, minimum description length,…) and to the novel technique known as PELT incorporated in the R package changepoint. When dealing with these sorts of studies and many other complex techniques, computer based models become the only alternative. Challenges faced when implementing these models and the need to guarantee the precision of the outcomes were highlighted by Dr Axel Gandy in his presentation “Some thoughts on the implementation of simulation-based statistical methods”. Finally, the highlight of the conference dinner was a motivational speech by the president of the RSS, John Pullinger. He traced his early career in statistics and mentioned some of the high points so far, including being the representative of the UK at the statistical forums of the United Nations and chairing many of the Government Statistical Service committees developing the UK statistical programme. He also emphasised initiatives such as the World Statistics Day and the on-going Getstats campaign, being these of great impact in spreading the great relevance of the work of statisticians. Throughout the meeting, special mentions were also made to another main campaign raising awareness of the need for statisticians: the International Year of Statistics Statistics2013. In line with this celebration’s aims, initiatives like this annual YSM have become essential as effective means to ensure collaboration, networking and general promotion of the field. This year’s event was certainly proof of this. I would like to end this review by thanking the organising committee formed by PhD students from the Imperial College London for their great work, and the sponsors that made this event possible: BioSS, AQMeN, Atass Sports, Phastar, Royal Statistical Society and Novartis. Looking forward to next year’s meeting! 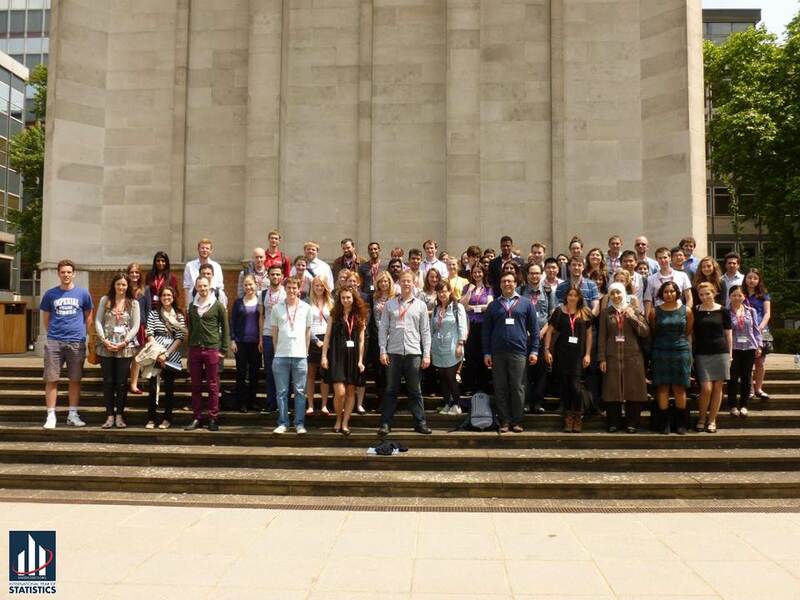 This year’s meeting, YSM2013, marked the 39th edition of an event that has become a must-attend in the career of every young statistician in the UK. YSM2005 Trinity College Dublin, Department of Statistics.